The ABC Quantum software uses small files called cookies to help provide your experience. ABC Passport — required to provide secure authentication and keep you logged in whilst using the software. Google Analytics — for providing details about how visitors and users of the software are navigating and using the tools. LiveChat — for tracking what area of the software you are using when you submit feedback or request assistance from us. (Performance Cookies) Google Analytics These cookies collect information about how visitors use a website, for instance which pages visitors go to most often, and if they get error messages from web pages. LiveChat These cookies allow the website to remember choices you make (such as your user name, language or the region you are in) and provide enhanced, more personal features. For instance, a website may be able to provide you with local weather reports or traffic news by storing in a cookie the region in which you are currently located. These cookies can also be used to remember changes you have made to text size, fonts and other parts of web pages that you can customise. They may also be used to provide services you have asked for such as watching a video or commenting on a blog. The information these cookies collect may be anonymised and they cannot track your browsing activity on other websites. (Targeting or Advertising cookies) None These cookies are used to deliver adverts more relevant to you and your interests They are also used to limit the number of times you see an advertisement as well as help measure the effectiveness of the advertising campaigns. They are usually placed by advertising networks with the website operator’s permission. They remember that you have visited a website and this information is shared with other organisations such as advertisers. Quite often targeting or advertising cookies will be linked to site functionality provided by the other organisation. BC Legal’s ABC Quantum software is provided 'as is' without warranty of any kind, either express or implied, including, but not limited to, the implied warranties of merchantability, suitability for a particular purpose, or non-infringement. In no event shall BC Legal be liable to you or any third parties for any special, punitive, incidental, indirect or consequential damages of any kind, or any damages whatsoever, including, without limitation, those resulting from loss of use, data or profits, whether or not BC Legal has been advised of the possibility of such damages, and on any theory of liability, arising out of or in connection with the use of this software. The use of the software provided by BC Legal is done at your own discretion and risk and with the agreement that you will be solely responsible for any damage to your computer system or loss of data that results from such activities. No advice or information, whether oral or written, obtained by you from the BC Legal or from the BC Legal website or ABC Quantum software shall create any warranty for the software. ABCNoise 3 is a powerful software system designed for the fast, efficient and intelligent handling of NIHL occupational disease claims. It combines the highest levels of technical knowledge & innovation in NIHL claims handling with powerful algorithms & intuitive software design. ABCNoise 3 has been developed by a team of specialist disease lawyers & creative software engineers at BC Legal with the help of leading medical experts. We believe the system will revolutionise the way you handle your NIHL claims. The tool is completely free to use for BC Legal clients only and it comes with comprehensive and ongoing legal, strategic and technical support 24/7. What does ABCNoise 3 do? ABCNoise 3 is a complete software system and business intelligence analytics tool allowing you to cost effectively manage large portfolios of NIHL claims. ABCNoise 3 is not just another NIHL diagnostic tool but offers a 'holistic' solution to NIHL claims handling and its strategic and financial management. 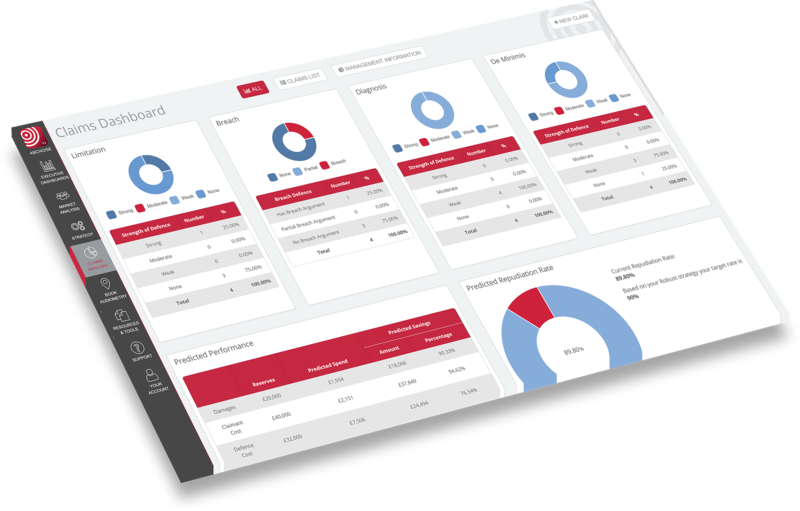 The system allows you to easily design and implement your defence strategies, assess predicted outcomes of claims and measure and monitor performance over time. Our system algorithms analyse and score claims according to the strength of defences on limitation, breach, diagnosis and de minimis and provides firm and clear recommended actions on claims. The system is accompanied by an unrivalled technical and legal support service including live 'on-demand' access to BC Legal's expert team of disease lawyers.